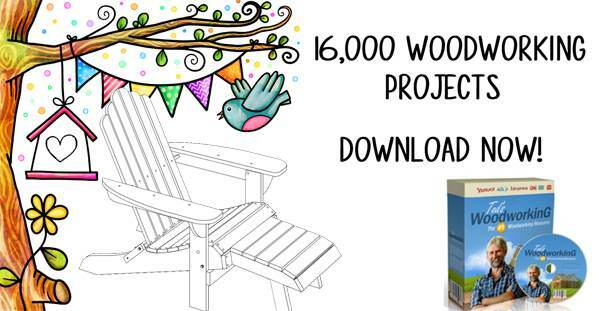 Most musicians do not build their own instruments, but if you are a woodworking musician, you may want to use those nimble fingers to build an acoustic or electric guitar, using free guitar plans. 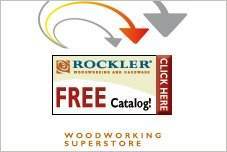 Build an acoustic guitar, archtop, jazz or classic folk guitar with free guitar plans. Choose your favorite woods to customize your instrument, adding your own special decorations and inlays to make it truly a one-of-a-kind piece. Looking for a real challenge? There are even step-by-step instructions and photographs to help you build a Popsicle stick guitar that is amazing. Or build an Ipomoea. This small, modern steel string guitar has an offset sound hole and one of the few of its kind to have a completely removable bolt-on neck. Building these guitars take skill and patience, but are wonderful projects you will be proud to display and use for years. This is a step by step plan for building your own acoustic guitar. 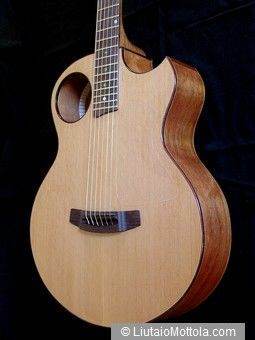 The Tinozza is an acoustic bass guitar that features orchestral strings and an unusual bridge. 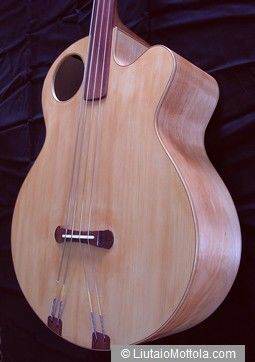 This is an acoustic Ashbory style bass, with rubber strings. Construction is basically the same as a flattop guitar. Easy to download plan for an attractive jazz guitar. Build this small acoustic guitar that has a removable neck using this plan. Simple steps and materials list for building your own cigar box guitar. 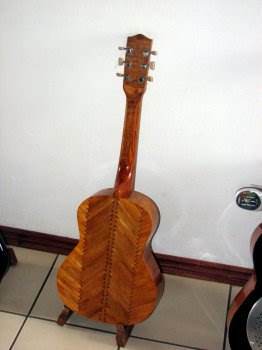 This plan is for a unique guitar made entirely out of popsicle sticks. These are plans for a "fat bird" acoustic guitar. Build an electric bass guitar that weights less than six pounds but puts out the sound of a modern electric bass. 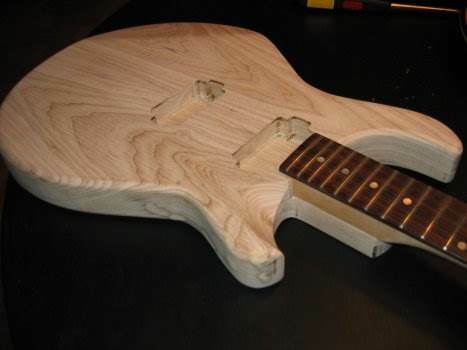 A tutorial for building an electric guitar with helpful tips for tackling the project. Instructions for building a chicken wing electric guitar in a Fender style. 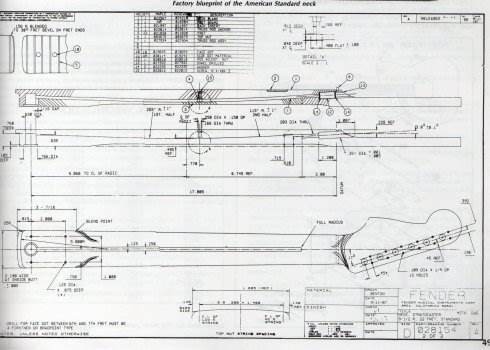 Blueprints of a Fender Stratocaster guitar neck. The Libellula is a wearable electric upright bass that weighs just 5 pounds.